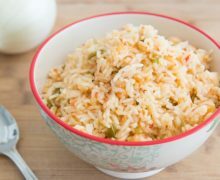 Mexican Rice - How to Make Mexican Rice - Really easy and great flavor! 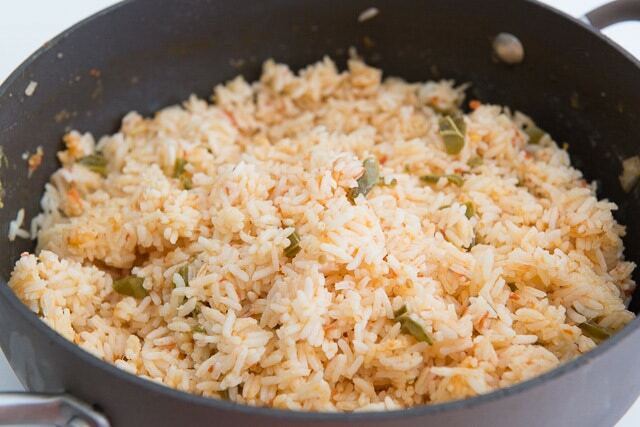 This easy Mexican Rice is flavored with fresh tomato, white onion, garlic, and jalapeno. It’s a perfect side dish for Carnitas, Slow Cooker Mexican Shredded Beef, or shredded chicken. Rice as a side dish is pretty underrated. There’s SO much flavor in this rice, and the texture is amazing! What I love about going the “meat, rice, and beans” route instead of the taco route is the rice makes for great leftovers. You can make a big batch and have this meal all over again, just as good as the first time. 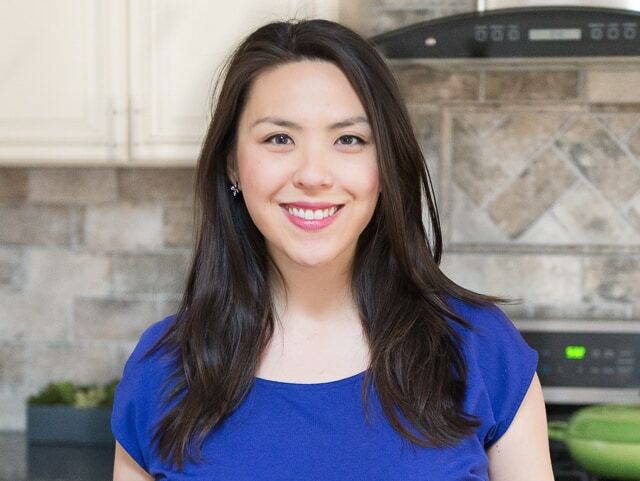 It’s so easy to add complimentary dishes like Guacamole or black bean side dishes as well. 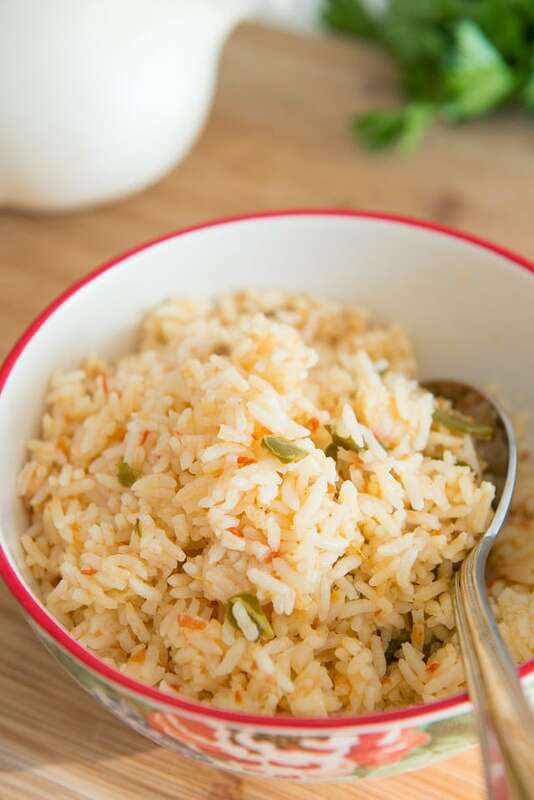 For flavor, the rice is cooked in a fresh tomato and onion puree, chicken stock, jalapenos, and garlic, and the rice is also toasted to give it more of a pilaf-type texture. It’s an easy process overall. This will rid the outside of excess starch, and give us more separate grains in the final dish. Cook covered for 15 minutes, then let sit for another 5 before fluffing with a fork. This goes great as a side to dishes like Pulled Pork spiced with Sazon Seasoning, but sometimes I also like throwing it into salads like this Steak Salad or soups like Chicken Tortilla Soup to bulk it up. Enjoy! Can Mexican Rice be frozen? Yes, it freezes very well! Store for up to 2 months. Can Mexican Rice be made ahead? Yes, definitely. Leftovers keep really well in the fridge for 5-7 days. How to Reheat Mexican Rice: As with any rice dish, the key to reheating is making sure you retain the moisture so the rice doesn’t dry out. Either re-warm it in a saucepan on the stove with a lid on it, or in the microwave with a lid or some kind of cover. Is Mexican Rice gluten free? Yes, you can also make it vegan by using vegetable stock. 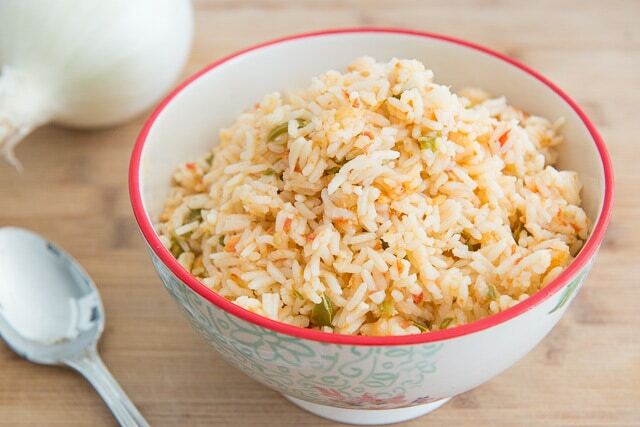 This easy Mexican Rice is flavored with fresh tomato, white onion, garlic, and jalapeno. It’s a perfect side dish for Slow Cooker Mexican Shredded Beef, carnitas, or shredded chicken. 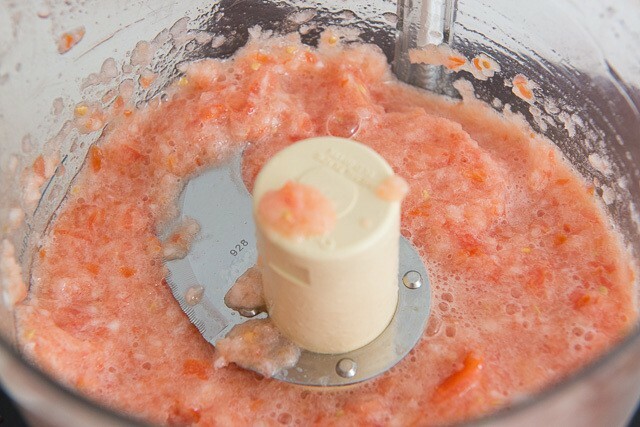 In a food processor, puree the tomatoes and onion until it looks like a slightly chunky salsa. Heat a pot over medium heat and add the oil. 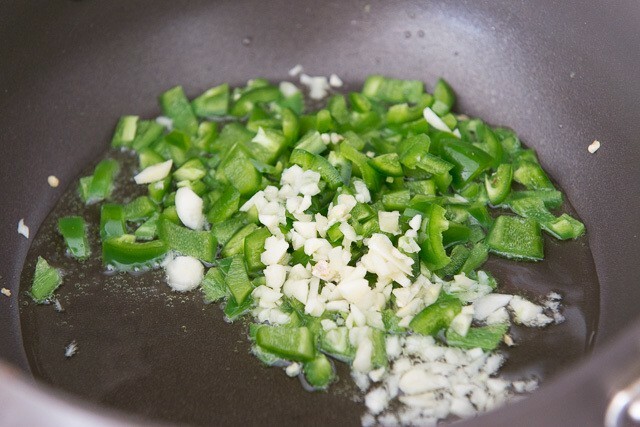 Add the jalapenos and garlic, and season with a pinch of salt. Cook for 3 minutes, until softened slightly. 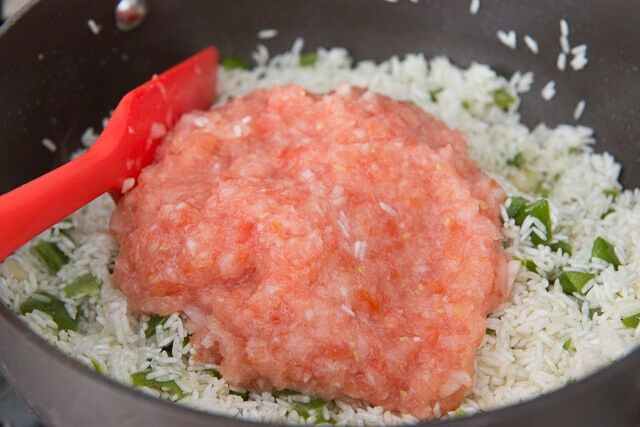 Add the rice to the pan, along with one teaspoon of salt. 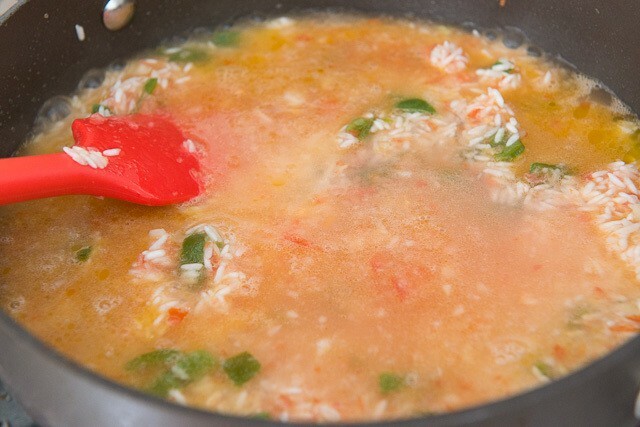 Cook for 5 minutes, stirring often, then add the onion tomato puree and the chicken broth. 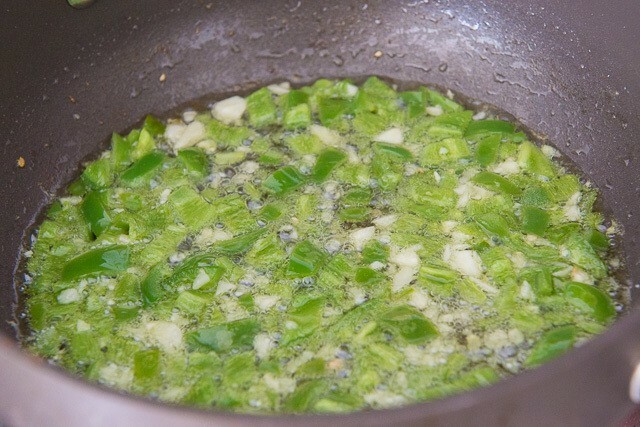 Bring the liquid to a boil, then reduce the heat to medium low and cover. Simmer for 15 minutes. Turn off the heat and let the rice sit for 5 minutes, then fluff with a fork and serve with Carnitas, Pulled Pork, or whatever you'd like. Enjoy! Posted updated in October 2018. Originally published December 2016. Joanne your rice recipe is good but it is missing one crucial step that truly makes this authentic Mexican rice. I’m married to a Mexican lady and we visit Mexico every year to see her family. 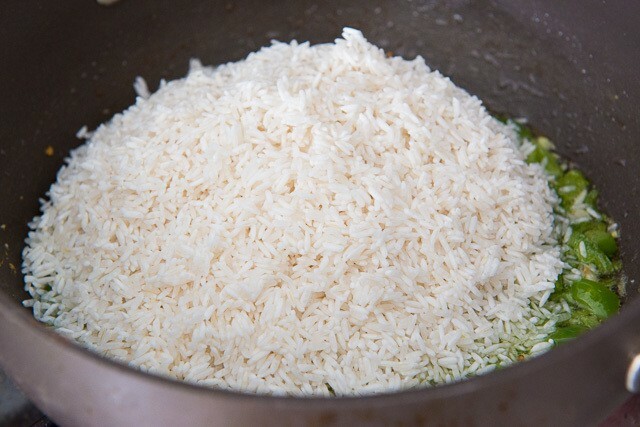 You can imagine that I eat a lot of rice when we go down there and every time it is prepared, the rice is browned in a couple of table spoons of oil before the water is added. You have a step in your recipe that fries the rice in oil, but two minuets just isn’t enough. You need to fry it for a minimum of 5 minuets. The goal is constantly stir the rice and onions or garlic or what every you put in with the rice slowly until it turns evenly brown. Other than this the recipe looks great! Hi Adam, this is fantastic! Thanks for sharing! 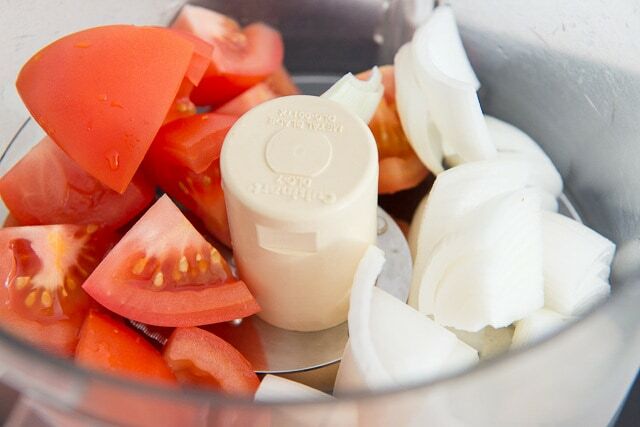 So easy, so much flavor. Thank you. The recipe says 2 cups of rice to two cups of chicken stock. 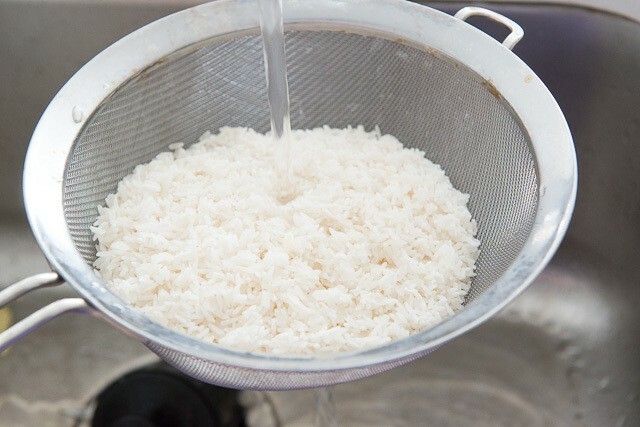 I have always made rice with a two to one ratio with the stock being double the amount of rice. Is that a misprint? Hi Cynthia, it’s not a misprint. Because of how it’s cooked, it doesn’t need as much liquid. Good question!